An agreement has been signed between Barberini Eyewear and Fondazione Banca degli Occhi del Veneto Onlus to support a study that the Foundation will conduct on the use of optical glass ophthalmic lenses with selective action against Infrared Radiation, verifying their protective effectiveness in patients affected by dry eyes. “Dry eye is a diffuse condition, which may be present alone or associated with other favourable ocular and systemic conditions. 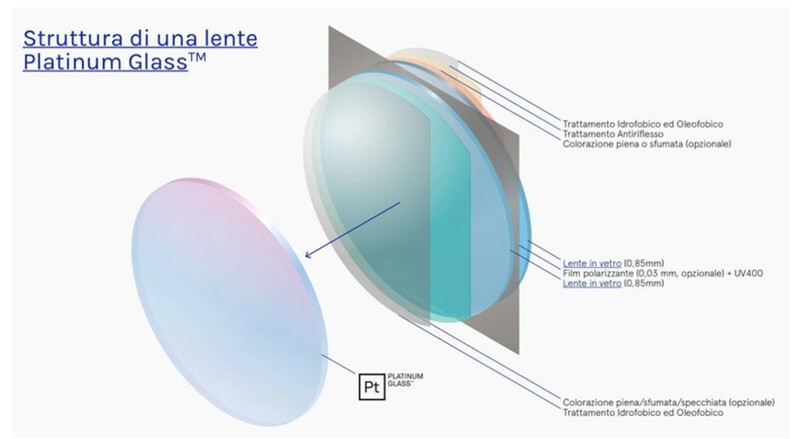 This agreement aims to evaluate the effect of the use of optical glass ophthalmic lenses, normal or graduated, by patients with moderate dry eyes", says the Medical Director of Fondazione Banca degli Occhi del Veneto Onlus, Dr. Diego Ponzin. This is the aim of the agreement that will see Barberini participate in and fund the research laboratories of the Foundation. The keyword of the product that should be analysed in this particular context is "Platinum Glass™". Barberini's technicians explain that glass is the best way to observe the world and guarantees the best constant vision over time, high resistance to scratches and mechanical stress and minimum environmental impact, being 100% recyclable. This particular type of lens, the Platinum Glass™, aims to ensure better rendering of colours and contrasts thanks to the presence of some minerals, called Rare Earth Elements, which can be added in fusion only to the glass, maximum protection from UV rays, protecting up to 400 nm (UV400), maximum protection from reflected light, with multilayer antireflection and polarized lenses, lenses that are clean longer and easier to clean thanks to oleophobic and hydrophobic treatments. However the most interesting aspect, which the study will try to test, is the effectiveness of protection from Infrared Rays (radiation that tends to warm the eye and its contour) which aims to prevent the premature aging of tissues.